iCal calendars are great because they allow you to share your training schedule with your players, their parents and a lot more. What is an iCal Calendar? iCal Calendars are public calendars, which can be added to most calendar apps. The general term is "subscribe to a calendar". 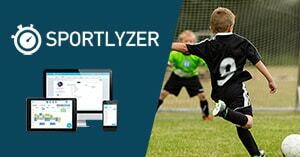 In Sportlyzer we use public calendars to help share training schedules with your club members. Parents can subscribe to the training schedule for their children. It doesn't matter how many children you have. Just add and subscribe to each and one of them (you can even share the calendar with your grandparents). Teenagers which smartphones can subscribe to their calendars on their own and give the coach a notice of when they cannot come to the next workout. You can add all your workouts, events, competitions to your private calendar. Create a public calendar so others can subscribe to all competitions and never miss a game of your Team. If you have your iCal Calendar link you only have to open your favorite Calendar App and subscribe to that link. Subscribing to a calendar ensures, that your app will keep your training schedule automatically synced. Currently, there are 3 different types of Calendars that you can subscribe to. Each of them has its own purpose. Pick one that suits your needs best. If you want to share the Calendar with a lot of people you should use this calendar. You can choose which training groups or types of events to include in that Calendar. Each member of your club has his or her own training schedule. Subscribing to that schedule will not only give them up-to-date information but also allow them to mark their availability for these events. Each event includes a link to the availability page for that specific member. The best part – the members don’t even have to register to use this. Just like each member has his or her training schedule, each coach has his/her coaching schedule. Subscribe to this calendar if you want to add all workouts and events to your personal calendar. We also add a link to the mobile and web app for easy access so you can go and edit some information in the app if you need to. In order to get the link for a specific Calendar, you need to go to the “Calendar” page and click on “Share”, which is located right next to the “Add” button. First, select the type of calendar you need, then copy the link, open your Calendar App and subscribe to it. Don't hesitate to contact us if you need any help with integration. We know this will make your life easier!